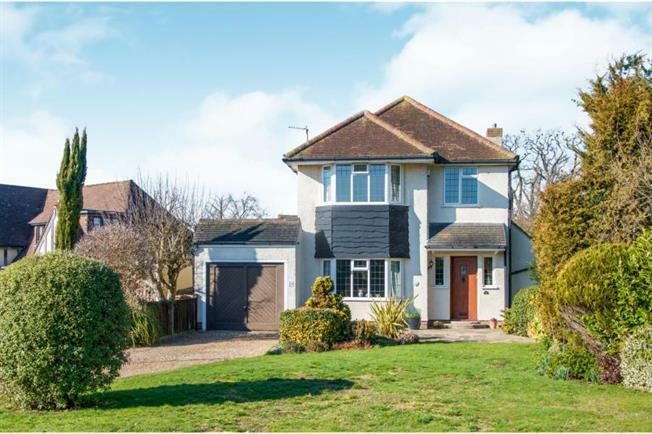 3 Bedroom Detached House For Sale in Potters Bar for £825,000. Situated in one of Potters Bar's prestigious private roads is this charming 1930's style detached house. This characterful house is arranged over two floors and provides versatile living accommodation for a large family. The ground floor entrance hall offers plenty of light and space providing access to the generous sized dining room, lounge and kitchen/breakfast room that over looks the beautiful landscape garden. On the first floor, there are three spacious bedrooms, a four piece family bathroom including a separate shower cubicle. The master bedroom benefits from built in wardrobes and provide lots of natural light. Benefits also include a driveway providing ample off street parking, private garage, side access to the rear garden and a well maintained front lawn. Don't miss your chance to acquire this stunning property, book your viewing now.